The much anticipated weekend for not only United States citizens but citizens from all over the world has arrived. The day is Thursday and Dreamville campers are arriving in the masses, from over 50 different countries trampling through the site to pick what they will soon hopeto find out as high land. 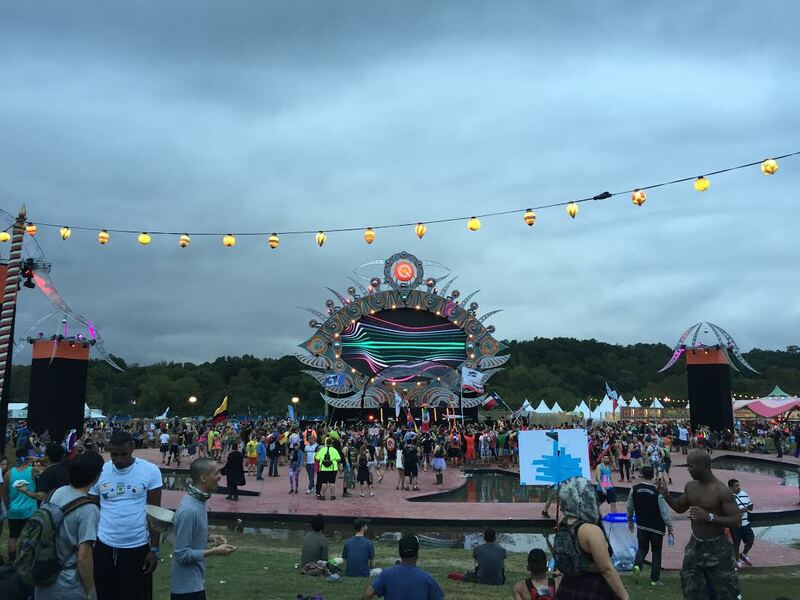 For those of you that have not heard, TomorrowWorld was hit with a massive storm starting the evening of Thursday night many of us were hopeful that it would cease in the coming days of the festivities. We were all dead wrong, here you will hear about an experience for the ages, and what could possibly be the downfall of a truly beautiful festival. The Gathering begins with a show put on just for the Dreamville attendees, the stage looks that of a high class festival, truly goes to show that they did put an effort into taking care of some of their attendees and looked quite promising for an incredible weekend even if it was to be set in a little bit of rain. A little bit of rain would never bring enough people down to ruin the festival, however, the way that Tomorrow decided to handle the rain left over 100,000 truly beautiful people to bash them all over social media. The rain continued and picked up across the next few days, leaving four to five inches of mud to be trampled through for the rest of the weekend. Friday came to an early end for many Dreamville campers thinking that they would have Saturday and Sunday of sunshine left, they sadly were wrong. Many campers were forced to abandon their tents because of the slope of the land, forcing them to sleep in their cars, coming back the next day to ruined sleeping bags and forcing them to abandon hope on the festival one by one. The music aspect and stage settings of the festival was the only shining aspect of the festival, this part they truly went above and beyond of booking such incredible talent. Borgore went back to his roots showing us how filthy he truly once was, Keys and Krates playing the same set they had played at Dancefestopia and almost an identical set to EDC. We are really waiting to hear something new from these guys after being blown away at EDC by their incredible set. The main stage could have been a little different, it is understandable that they want to try to make it feel as similar as possible to TomorrowLand but the stage was the EXACT same. We want to somehow feel unique, that we got a little bit of a difference than if we had paid 10 times the money to travel out of the country to another festival. 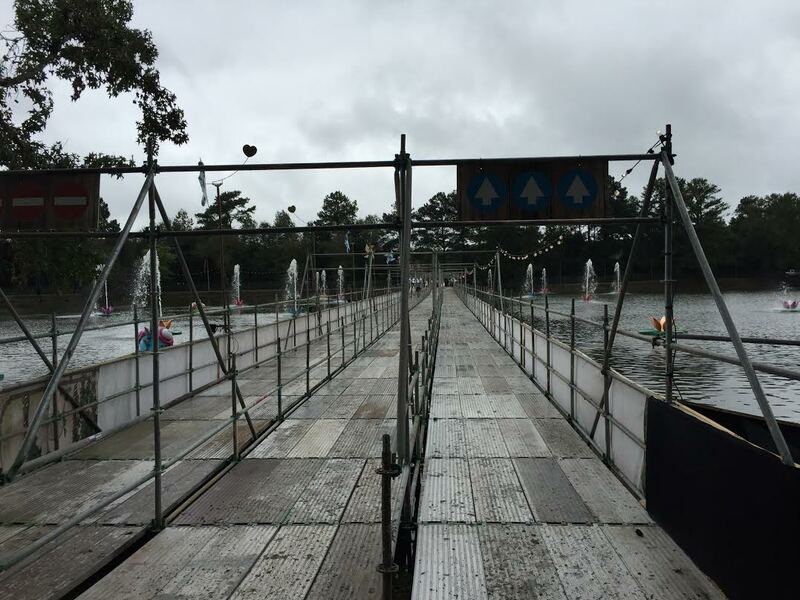 Saturday arrives and the rain has awoken before many of the campers have. Posing to be yet another wet day everyone dons their ponchos and mud attire and gets ready to get filthy with Nectar, which is set to be by far the biggest day. We head that way a little early to try and get an eye for just how big the setting will be, but what do we come to find, that of the five main stages Nectar is playing on what is easily the second smallest. This also blows my mind that knowing that he will easily draw a main stage crowd you decide to have him play a small stage with many obstacles in the way impeding vision for more than half of the audience. Now for the worst part which all of you will here from time to time again about this festival. Shuttle busses for whatever reason it may be had decided to stop picking up passengers! People were stranded! Numerous videos have arisen of people walking miles to an Uber or taxi pickup and having to pay out of pocket to get them home when they had already paid enough for a shuttle pass. People were sleeping on the roads, laying on tables, cop cars, anything they could find to get them off of the ground. Covering up with whatever they could find to somehow keep them dry. TomorrowWorld has issued a statement saying that whomever had been in this situation could contact them for a full refund of their transportation home that day. 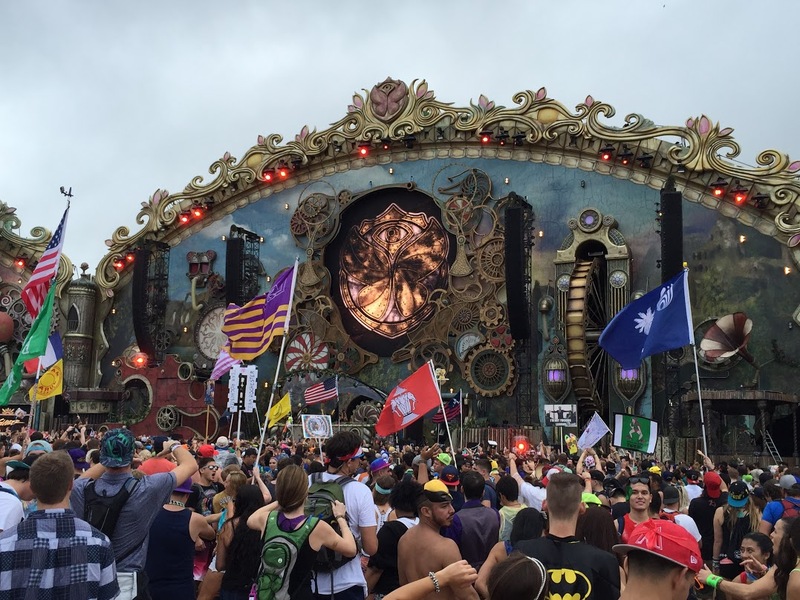 The continuous rain leading up to Sunday caused TomorrowWorld executives to close the festival to anyone that was not a resident of Dreamville; meaning 110,000 people of the 150,000 tickets that were sold. Along with this they had also closed more than half of the festivals stages. Leaving the residents of Dreamville with no message that this happened as well as all of the times of their favorite artists changing, nobody knew anything. Our group had only known about this and were sad to find out that we ourselves had missed a few artists we were hoping to see. I can attest that it was a lot less crowded and they did lay down hay across some of the festival, which would end up doing very little. Lets touch on the price system that they used to try and divert our attention from spending real money. I have never been to a festival that has charged such an incredible amount of money for anything. TomorrowWorld is a cashless festival so we all had to load up our bracelets with cash which they then converted into Pearls. 1 Pearl was the equivalent of about $2.25. I would have had no problem with that considering they had people from all over the world attending, but as I start to look at vendors charging 3.5 pearls for a powerade I start doing the math. Almost $8 for a drink? The list goes on paying nearly $14 for a slice of pizza and the merch was nowhere near any sort of normal price. With Sunday comes the news that if we did not spend all of our Pearls (the cashless currency used at TomorrowWorld) we would be able to get a refund. All we had to do was pay a 3.5 Pearl handling fee. That’s right, to receive your money that you weren’t able to spend all you had to do was pay the festival (after already paying astronomical prices for everything else) another $8 to get your money back that you weren’t able to spend. Was this mentioned to anyone before we loaded our bracelets? If so then I missed it, all we were told that the money was refundable if we were not able to spend it all. 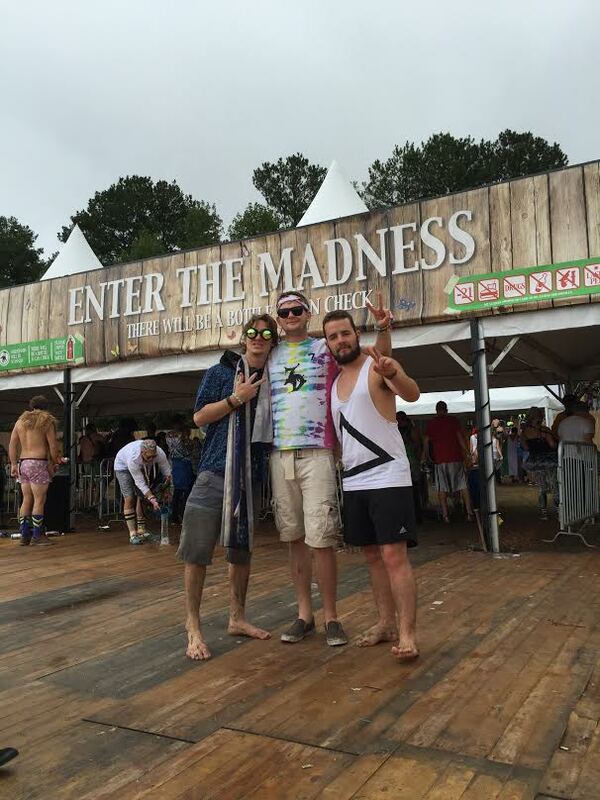 Closing this article I want to warn all of you about your next trip to TomorrowWorld 2016. Who knows what type of festival you will get, we are still waiting to hear about the details that will be issued for refunds to more than 100,000 attendees and SFX stock plummeted to just dollars the day after the information had come out to the NYSE about how everyone was being treated. If you’re weary about the festival weather and don’t mind spending the money then I would definitely recommend doing TomorrowWorld at least once, but seriously… check the weather beforehand, and if you want to guarantee you get the full 4-day experience, get Dreamville.